Stone is the heart of a Nation. Its form in building adds strength its shape and texture its beauty its abundance is its gift to a Nations people. To the ancient people’s stone was the ready commodity. Its strength for building was its availability and its greatness was its size and finish its beauty. Stone could be worked to portray a meaning before words could be written and paper was born. Scotland the Nation was carved from the very heart of its stone. Unity in tribal form forged this Nation. Its ancient rulers would have at its heart the stone of its people. The legend that is the Stone of Destiny or Coronation Stone is steeped in the ancient traditions of Kingship. Those that ruled would have their inauguration ceremony on the very heart of their Nation, its stone. Why then does Scotland’s Stone of Destiny have at its heart such controversy in its legend? It can be argued that the legend of Scotland’s Stone starts in the 13th century when Edward (Longshanks) King of the English in his quest for overlord ship of Scotland, removes what he thinks is Scotland’s talisman. By so doing he believes he has removed once and for all the right of Scotland’s future Kings and Queens to be crowned in supreme rule of Scotland the Nation. Historical traditions and legend mention the use of these inauguration stones in many places connected to the tribal Celts of the North of Europe. 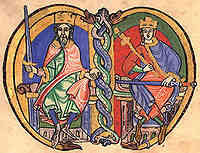 In Ireland it was recorded in many acts of crowning and known as the “Lia Fail” and can be seen on the Hill of Tara where the High Kings or Ard Righ of Ireland would be crowned. In Scotland the ancient kingdom of the Scots of Dalriada performed ritual crowning ceremonies on the hillfort of Dunadd. In Islay at Finlaggan the Lords or Kings of the Isles would be crowned in a ceremony similar to that of the ancient Dalriadans. Its from these legends and traditions that the stone known as Scotland’s Stone of Destiny follows it’s path from its beginning shrouded in the mists of time to today’s display close to the Honours of Scotland at Edinburgh Castle. Medieval writers have referred to it as Jacobs Pillow giving it a connection to the biblical Jacob. Its beginning has also been linked to the Egyptian Pharaoh’s daughter Scota in the time of Mosses. In mythological terms the Scots can trace their ancestry directly to Scota who settled in Ireland with her tribe in 1300BC. The Stone of Destiny was said to have been brought with her from Egypt and carried with the Scots who settled in Argyll in the late Iron Age to be used by Kenneth MacAlpin’s descendents to its last crowning ceremony in Scotland when King John Baliol was crowned King of Scots in 1292. During that time there are but few written sources of its form and those that are available do not match up with the stone we see today. Following the removal of the Stone in 1296 it was strange how in 700 years very few attempts were made to claim it back from the English. This has added further to the legend that in fact Edward did not take the real stone. There is a legend that the monks of Scone, knowing that Edward was on his way to plunder the coronation stone had a rough block of sandstone quickly prepared as a substitute and hid the real stone near Dunsinane never to be seen again. 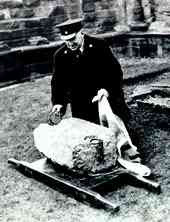 In fact such is the legend of the Stone that Patriots on Christmas Day 1950 led a raid on Westminster Abbey and re-took this stone bringing it eventually back to Scotland only to return it to the authorities at Arbroath Abbey on the 11th of April 1951. This momentous event has been re-told recently in movie format starring among others Robert Carlyle and tells the story as told by one of the Patriots, Ian Hamilton whose book “No Stone Unturned” was published not long after the event. This helped raise Nationalistic awareness to the story of the Stone and its legend in an age when Scotland was slowly drowning in the mire of a province of North Britain. The Nationalist author Nigel Tranter was also a scathing critic of the stone kept in Westminster and was to write some Historical Novels on the subject. On the 3rd of July 1996 the then Tory administration in a move designed to try and win political support in a Scotland preparing itself to vote on the return of it’s parliament after 300 years moved to return the Stone of Destiny to Scotland. It made a triumphant return full of pomp and ceremony, it crossed the border at Coldstream on the 15th of November and over 10,000 people lined the Royal Mile as it made its way to Edinburgh Castle to be kept under the auspices of Historic Scotland along with the Honours of Scotland for public display. On its return immediate study and research was carried out to determine its authenticity and geologists have shown that it’s likely to have been quarried in the Scone area. 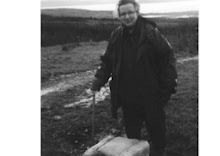 Further research papers and books have been written, most notably Nick Aitchison’s "Stone of Destiny". These have fuelled the flames of the legend and no matter how the current block of stone is viewed The Talisman that is Scotland’s Stone will always be surrounded in mystery and possibly one day the Nation might yield its true Stone. End the Labour Unionist stranglehold over Scotland. 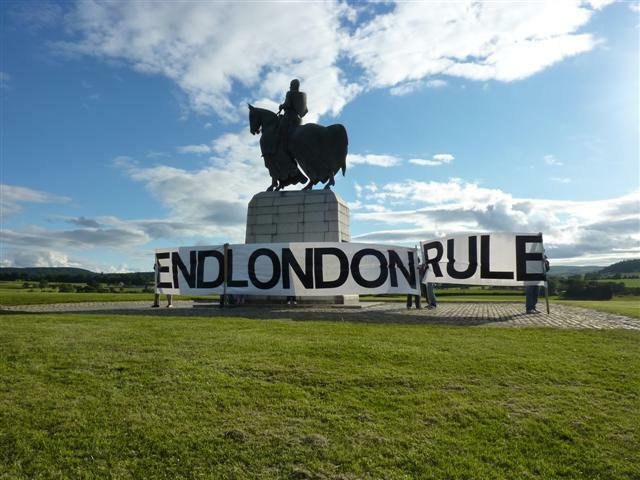 Here is hoping the politicians can deliver this for us through the ballot box......Scotland's Stone is our Stone and your Nation is your Freedom!